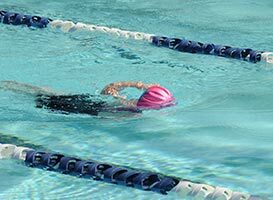 One with the Water is a non-profit organization providing access to the lifesaving skill of swimming to everyone, especially children and adults with high risk, high needs, and limited resources. Your donations go directly to help local people with the highest risk of drowning, the most significant coaching needs, and the most limited financial resources. 100% of every dollar you give goes directly to swimming lessons for our neighbors in need. Preventing drowning is fantastic in itself. What’s even better is the students enduring inward transformation resulting from mastering the water. Their confidence and perspective in life shifts towards the positive! 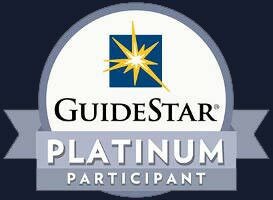 We’ve earned the GuideStar Platinum Participant rating, their highest level of recognition. GuideStar documents the impact that organizations are making in the world. There are countless people with unrestricted access to coastlines, lakes, rivers and swimming pools. Many of these people lack the resources for swimming lessons and are at high risk of drowning. 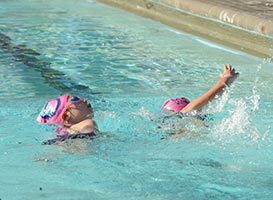 In the state of California drowning is the leading cause of death in children between the ages of one and four. communities where every child, adolescent, and adult of any income has the opportunity to master the water and be confident, courageous, successful, and safe, both in and out of the water. Through our experience providing swimming lessons, we discovered a beautiful thing. Mastering the water creates a transformation in the mind of the student, a shift from a fixed mindset to a growth mindset. People with the growth mindset learn to love challenges, be intrigued by mistakes, and intentionally seek out new challenges. They have learned that circumstances matter less, and what they are made of matters more. What would be different in your community if more people loved seeking out new challenges to overcome? What problems would go away? How many lives would be improved? “Nicole was born healthy. For seven years, she was a normal, happy, vivacious girl – until the seizures started. At age seven, she was diagnosed with epilepsy, which spiraled rapidly out of control. Therapy, medication, nothing worked to slow her seizures, which culminated in a seizure that left her with permanent damage on her right side. When Nicole started swimming lessons with One with the Water, she rolled onto the pool deck in a wheelchair. Now, she walks onto the pool deck with her mother and brother each day, a huge grin on her face. While we celebrate every person who has learned to master the water through a scholarship, we realize there is much work yet to be done. We don’t have the resources to reach everyone in need. You can help change that. You can help save and transform lives in your local community. Any donation amount makes a difference. $180 a month provides a child access to the life-changing swim team preparing them for high school and college! $275 a month teaches a special needs child the lifesaving skill of swimming. $5,000 provides education and credentialing for our coaches. $10,000 provides six months of pool access.